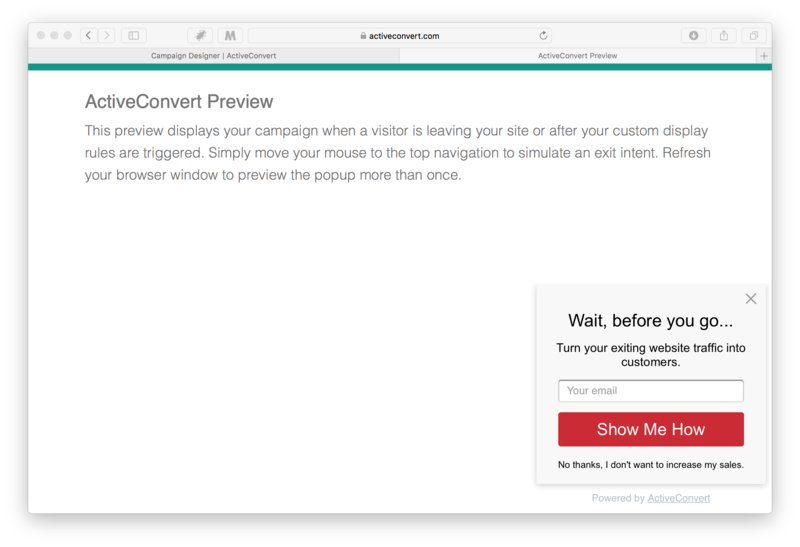 When you first get started with ActiveConvert, you'll want to create your first popup that we call a Campaign. We then display your install code. This is the code snippet that you can include on any website. 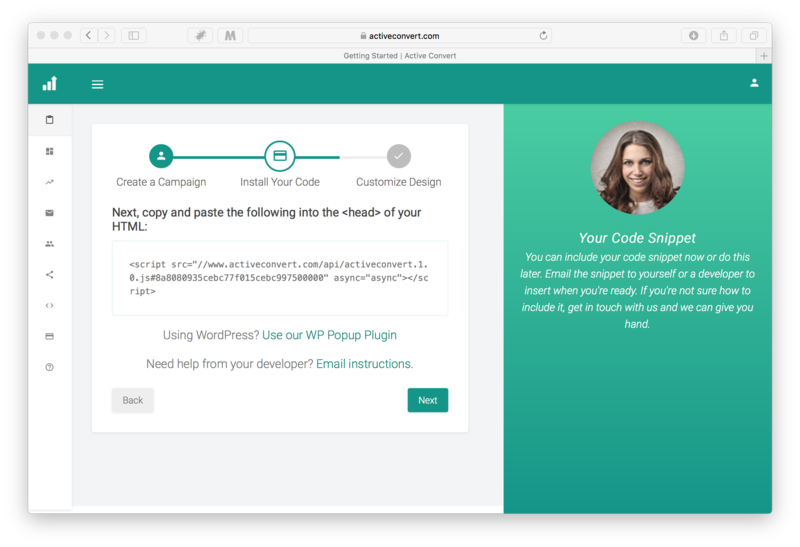 If you happen to use WordPress, we have a plugin you can install that automatically adds the snippet to your website. You can always access this later using the <> link in the left-hand column. 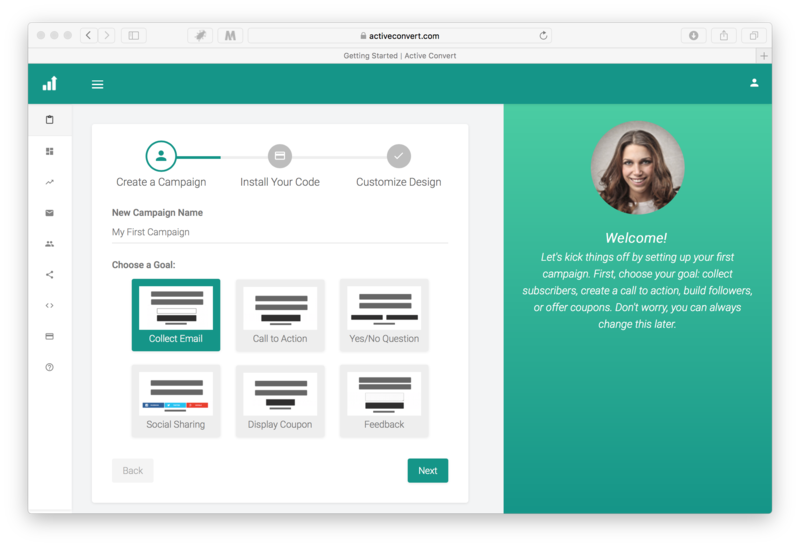 Once you complete the getting started process, you can now edit your popup using our online designer. Here's what it will look like initially. The Style tab at the top of the designer is where you choose the top of popup you want. 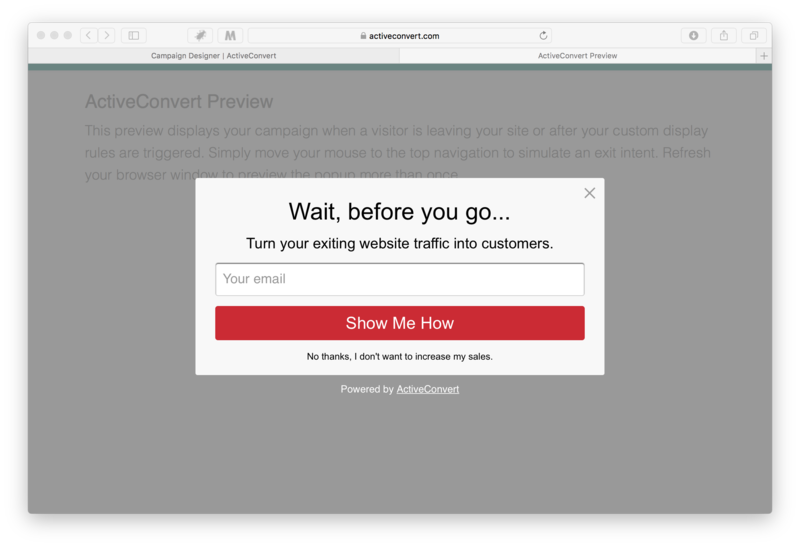 Each popup is fully customizable with logos, background images, custom text and custom fonts. 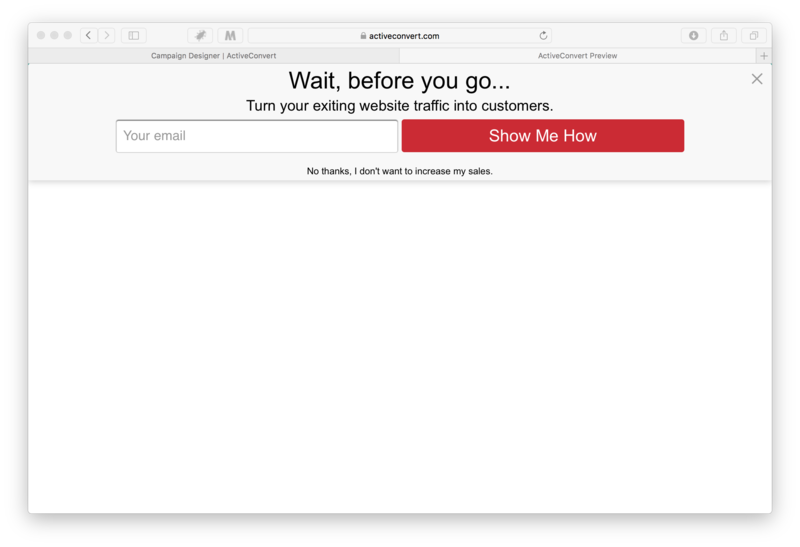 We currently support a Modal Popup, Full Screen Overlay, Slide In, Welcome Bar or Bottom Bar. Here's a preview of each. You can modify each of these any time you want and we'll pick up the changes automatically once you open a new browser window. 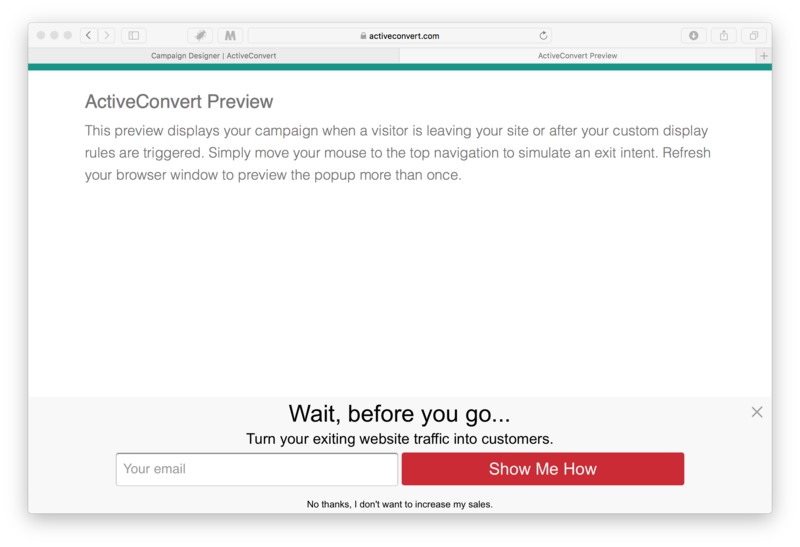 The Targeting tab is where you determine how and when to trigger your popups. 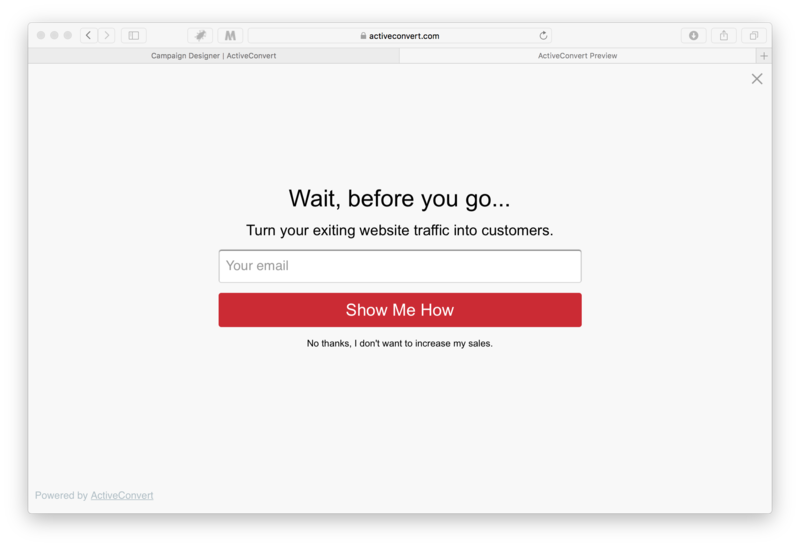 You can set them to trigger immediately, as exit intents (when a visitor is leaving your website), on scrolling 75% down the page, or after a period of time. You choose the rules that best fit your business. 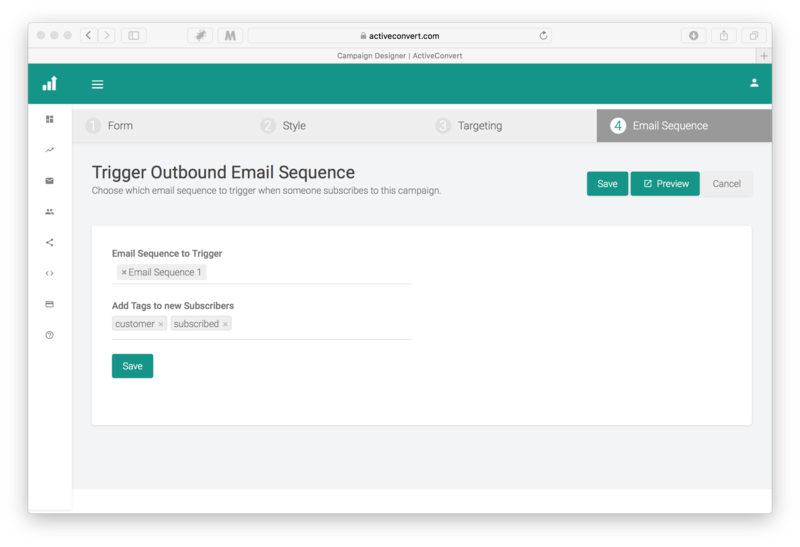 The last tab on the campaign is where you can trigger an outbound email sequence. 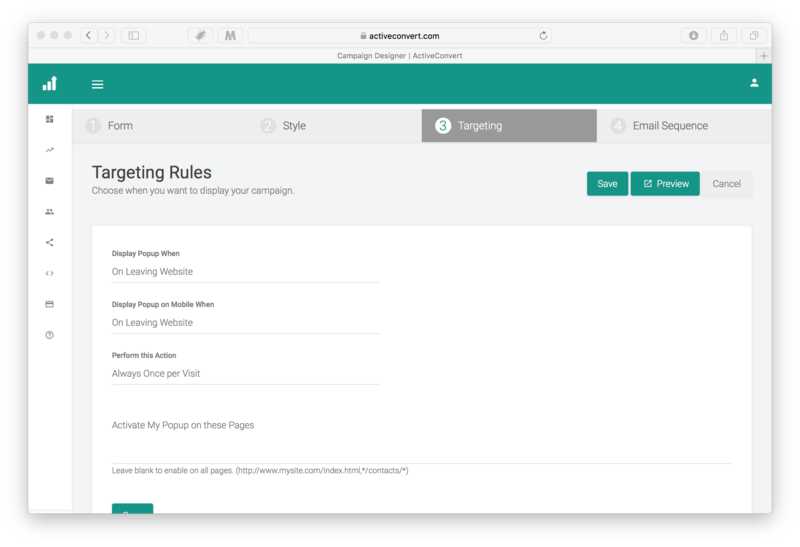 Once someone subscribes to your form, you can send a series of emails introducing them to your product, website, or blog. Create any number of sequences in order to build your following or close more sales. This requires that you configure your Google Account with ActiveConvert so that we can send emails using SMTP directly from your account. The benefits of these types of emails are they come directly from your domain and are more personal. That's it! You've set up your first Campaign! 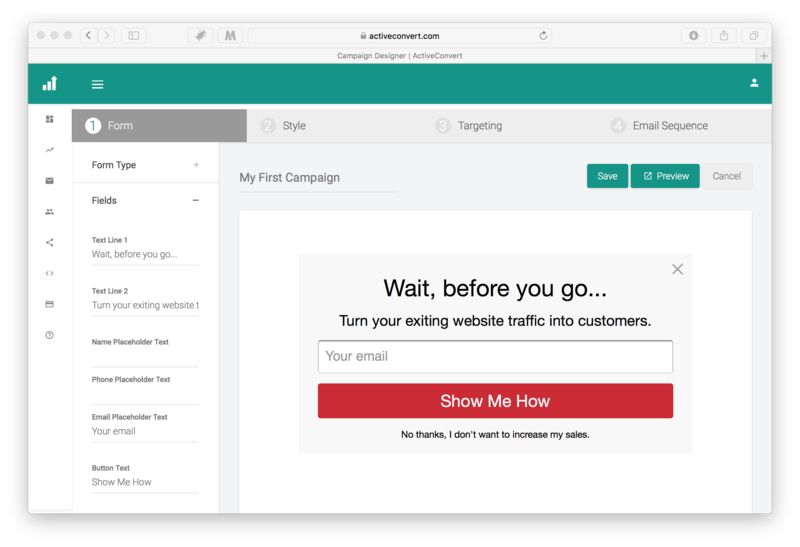 Next up is Creating Your First Email Sequence!